Defence ministry official claimed that thought the focus of the visit will be on deepening the defence tied under the framework of Major Defence Partner status. 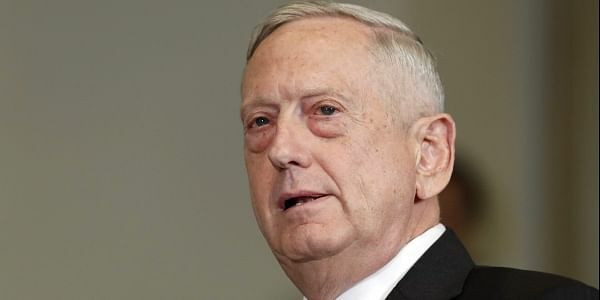 New Delhi: In order to a give height to the defence and strategic ties between United Stated and India, US Defence Secretary James Mattis landed national capital on his maiden three day visit on Monday, being the first by a member of Donald Trump administration. Defence ministry official claimed that thought the focus of the visit will be on deepening the defence tied under the framework of Major Defence Partner status, but US delegation will insist on to New Delhi on board in signing other foundational agreements especially Communications Compatibility and Security Agreement (COMCASA), which has been so far proved to be the stumbling block for high end technology sharing between the two nation. Last year in August, India had signed the Logistics Exchange Memorandum of Agreement (LEMOA) with United States that allowed their militaries to work closely and use each other’s bases for repair and replenishment of supplies. After LEMOA, Washington has been pressing for early conclusion of COMCASA and Basic Exchange and Cooperation Agreement for Geospatial Information and Services Cooperation (BECA). But India has been cautions and has not given any commitment. “High end technology sharing between the two counties are stuck because, US wants India to sign two agreements of strategic partnership,” said a government source. James Mattis will hold a restricted dialogue with his Indian counterpart Nirmala Sitharaman followed by delegation level talks in South Block. After the talks, the two ministers is expected issue a joint statement on the on the dialogue. Later in the day Mattis will call on Prime Minister Narendra Modi and subsequently meet National Security Advisor Ajit Doval. “ Visit will primary focus on deepening the defence partnership and expand the high technology cooperation under the Defence Technology and Trade Initiative (DTTI). An Indian delegation led by Secretary Defence Production, who co-chairs the DTTI from India, was in the US recently to prepare the ground,” said an official. The two sides are expected to discuss measures under the Major Defence Partner (MDP) status. From selling drones to fighter jets, US delegation will talk on various issues related to defence cooperation. Official claimed that besides defence cooperation, discussion on geopolitical situation will also be taken place. Afghanistan is expected to figure prominently in Mattis’s discussions in New Delhi in the backdrop of US President Trump’s renewed engagement in Afghanistan and call for greater Indian role. In August, US President had announced his Afghanistan policy with focus on beefing up US military presence and pressing India towards helping in "economic assistance and development" of the nation.